While Yamaha can date its roots back to the late 19th century, the side by sides that you’re here to look at today didn’t come about until around the 1980s. But by then, the company had gained enough experience and established enough connections within the market that they knew how to hit the ground running. Their off-road vehicles are powerful, reliable, efficient, and fun to use, so if you’re looking for your next side by side, then Yamaha is the company to check out. Today’s models span a wide range of uses and come with a variety of features to help you with all your most important projects and favorite pastimes. 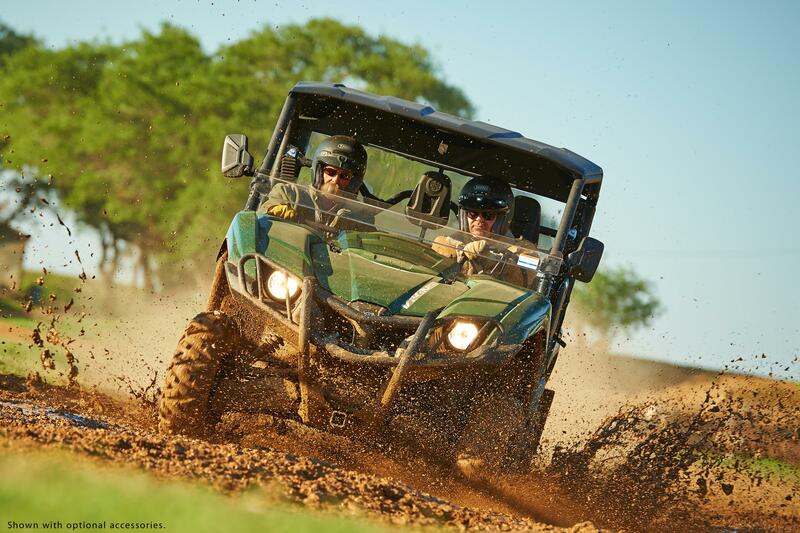 The Yamaha YXZ line consists of their pure sport models. These are going to come with better handling and more agile performance for the best experience on even the toughest trails. The Yamaha UTVs built for more versatile recreation is the Wolverine line. They’ll give you excellent ground clearance and a durable frame. If you want your side by side to handle more utility tasks, then check out the Viking line. 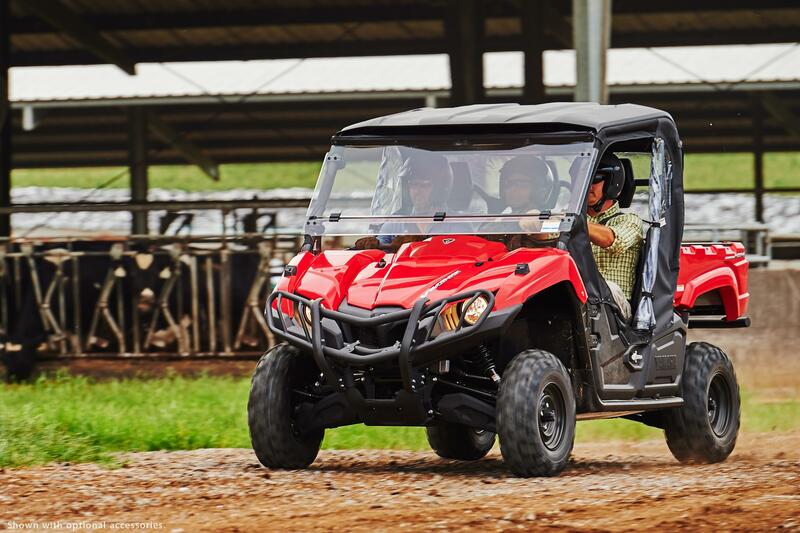 It’s the tougher, more powerful UTV that even offers more seating in some models. In other words, you’ll want to know what you need from your Yamaha UTV before you get to Good Guys Motorsports. That way, we can help you find the perfect machine to fit your needs. We’re in Herrin, Illinois, serving Marion and Carbondale. Ultramatic transmission with dual-range drive brings you a responsive and reliable drive system available. Comfortable three-seat cabin achives optimum comfort while extensive cargo capacity ensures you have room for all your gear. An enhanced version of the already super-charged base model, the EPS series features electric power steering. This state-of-the-art technology reduces train and fatigue from the driver, letting your rides last even longer than before. In addition to electric power steering, this Viking also boosts its capacity, allowing up to 6 occupants. Both front and rear center seats are offset, as are the middle headrests, allowing for unmatched middle passenger comfort and convenience. Chase your passion with a sporty machine featuring an industry‑first 5‑speed manual transmission and powerful 3‑cylinder engine. The special edition of the YXZ features FOX X2 long-travel shocks, true beat lock wheels and much more in addition to stylish new cosmetics. Put pure sport performance at your fingertips with 5‑speed Sport Shift transmission with auto‑clutch technology. Features 5-speed Sport Shift in addition to a stylish new exterior, FOX X2 long-travel shocks, and more to give you the best sport ride out there. This cutting-edge 700-class engine features dual overhead cams and fuel injection, and is optimized with smooth, linear power to tackle both open trails and technical terrain. On command 4WD and Ultramatic CVT provide everything you need. A supercharged version of the Wolverine’s impressive base model, the X4 comes standard with speed-sensitive electric power steering as well as an advanced suspension system. With room for four, you'll love sharing this ultimate outdoor experience. The special edition of the Wolverine X4 features a uniquely painted exterior complete with color‑matched interior, overfenders and more. You’ll be looking sharp as you explore the trails in the most off‑road capable side by side available. Offering the perfect blend of suspension and drivetrain, you have the ability to traverse the most wild terrain with best-in-class comfort. Plus, with a fully-adjustable suspension, you have the power to change things up for any riding style, load or terrain. As the premier power sports dealer in Southern Illinois, Good Guys Motorsports is proud to offer a wide selection of Yamaha Vikings. These powerful side by sides are ready to conquer whatever comes your way with powerful, torquey 700-class engines and strong low-end throttle. Get the job done or hit the trails with a vehicle you can count on. 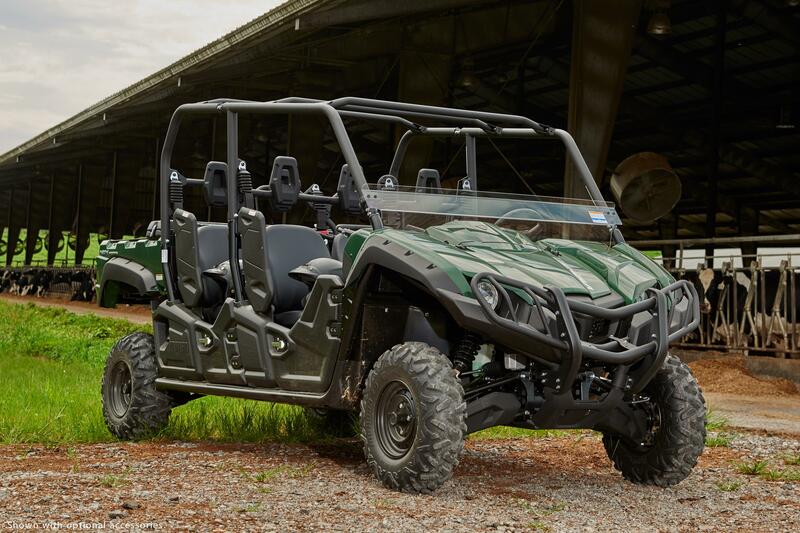 The Viking series features Yamaha’s industry-exclusive three-position On-Command 4WD system as well as a large-capacity air intake system to improve overall engine performance. With options for every type of application, you’re sure to find the right model for your needs. Browse our selection today and find the perfect side by side for your time outdoors. One of the key benefits to owning a UTV is the mindblowing amount of versatility you receive from your ride. You’ll never have to choose between fun and work when you invest in one of these innovative machines because it’s the best of both worlds. Here at Good Guys Motorsports, we’re proud to offer a wide range of industry-leading brands, like Yamaha, for example. 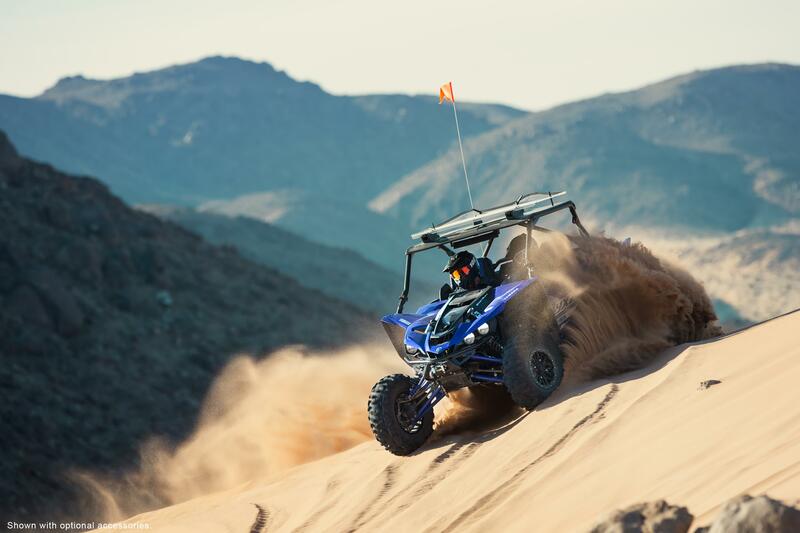 If you’re in search of a powerful vehicle that’s going to take your off-road experience to new heights, visit us today to check out our selection of amazing Yamaha side by sides for sale. We’re conveniently located in Herrin, IL near Marion and Carbondale. We carry a number of UTVs, including the Yamaha Wolverine X2™ and Yamaha Wolverine X4™. While you’re here, be sure to check out our awesome parts and service departments, too. Experience the Pinnacle of Pure Sport Performance. Good Guys Power Sports is proud to offer a wide range Yamaha YXZ Side by Sides, the only true pure sport side by side ever developed. With a 998cc inline triple engine combined with 5-speed sequential shift gearbox, on-command 4WD and massive racing shocks, there is truly nothing else like it on the market today. And with aggressive styling that the competition can’t touch, you’ll realize these side by sides are in a class of their own. Our fantastic staff is always here to help you find the best vehicle for your adventures. Located in Herrin, IL, our showroom is fully stocked with amazing machines you can test drive and take home today. Our customers come from Indiana, Kentucky and Missouri for our excellent service, selection and expertise – come by today to experience the Yamaha difference on a sporty YXZ side by side. Give us a call at (855) 891-3521 today!